One final vacation before the official end of the summer adventure blog until next year. 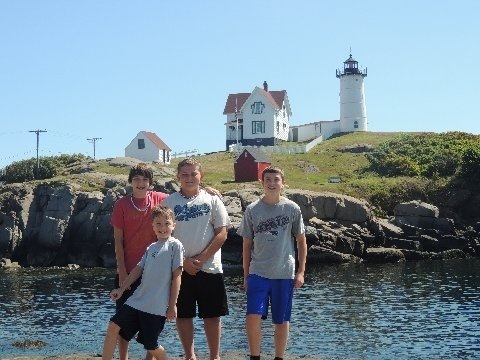 The Blake family traveled to Maine and enjoyed some time on the beach. I particularly love the lighthouse in the background. Glad you had a great summer!!! Evan with his brother Justin, and friends Kristopher and James.